Quick-Start Your Success With Meal Plans! The quickest way to get started with renewed wellness is with professionally-designed meal plans. These delicious, easy meal plans are complete with recipes and a shopping list delivered to your inbox each week. They are designed by our team of credentialed nutrition professionals and culinary facilitators so that you’re ensured a therapeutic benefit, enjoyable food, and complete nutrition. Give them a try today with a free trial! The Low-FODMAP diet contains ingredients low in fermentable carbohydrates known to worsen digestive symptoms such as gas, bloating, cramping, abdominal pain, reflux, diarrhea, and constipation. It is scientifically-proven to be effective at improving Irritable Bowel Syndrome (IBS). Use this meal plan to improve your digestion in short order, without having to learn all of the nuances of the low FODMAP diet (the meal plan does it for you). This 28-Day Refresh is a great way to get your metabolism humming and jump-start your health. It contains selected low-glycemic recipes aimed at stabilizing blood sugar, maintaining healthy weight, normalizing hormones, promoting healthy digestion, and reducing inflammation associated with many chronic diseases. 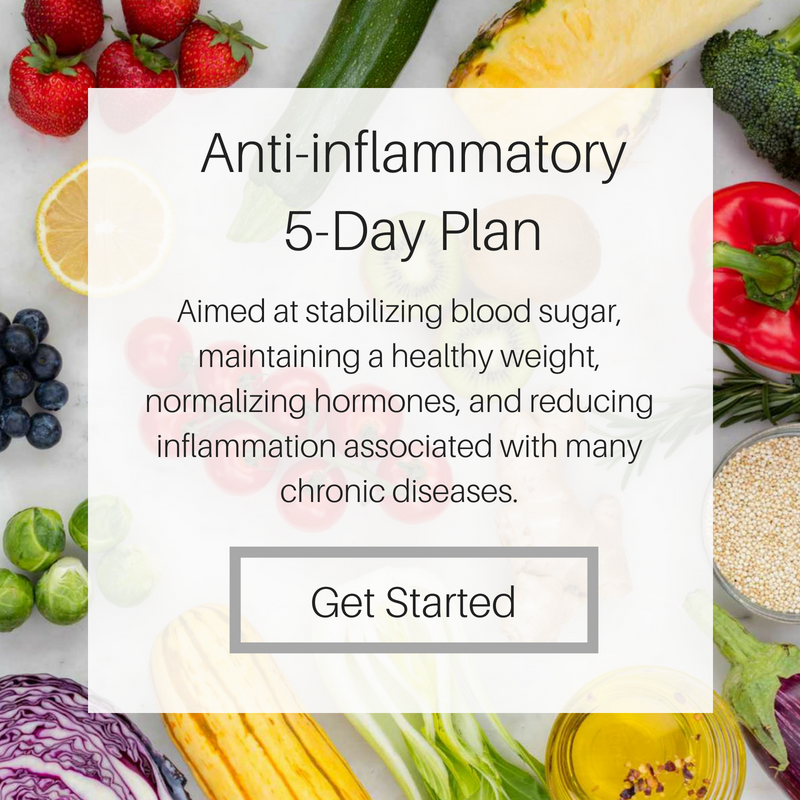 At the end of this 4-week plan, you will automatically begin receiving the Anti-Inflammatory Plan to support you in maintaining healthy habits. This anti-inflammatory plan contains low-glycemic recipes aimed at stabilizing blood sugar, maintaining healthy weight, normalizing hormones, promoting healthy digestion, and reducing inflammation. Almost anyone can benefit from this eating approach, but it’s especially helpful if you have insulin resistance, PCOS, weight loss resistance, or immune dysregulation. P.S. You’re in complete control! With each plan, you have the option of subscribing to a set weekly plan OR a fully-customizable plan where YOU swap out and re-arrange recipes as you like. Start with a free trial above and I’ll get in touch to make sure you’re all set with meal plans that work for your individual needs.